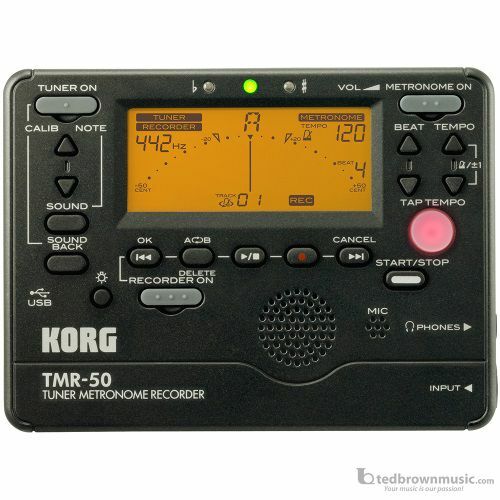 TMR-50 is the ideal partner for musicians of any level who want to improve their performances. It features extensive tuner and metronome functionality to help improve pitch and rhythm. The tuner, metronome, and recorder can each be used simultaneously or independently. Includes a USB port for transfer of recorded data.